The wear of the impact rock breaker is only present on the side facing the material. When the rotor speed is normal, the material will fall on the surface of the hammer, and the back and sides of the hammer will not be worn, even if it is worn on the side of the material. And the bottom grinding rod is also easy to replace. The metal utilization rate of the impact crusher plate hammer can be as high as 45% - 48%. The impact crusher has obvious advantages in the adjustment of the discharge size. The impact crusher has obvious advantages in adjusting the discharge particle size. 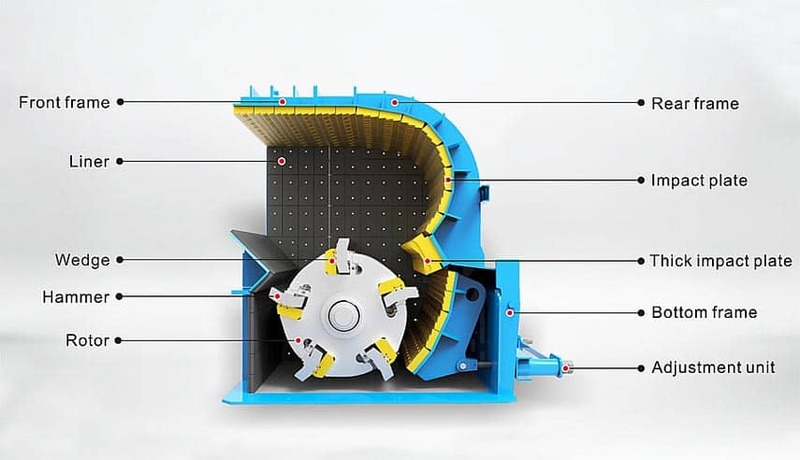 Compared to other crushers that adjust the size of the discharge opening to adjust the discharge size, the counter-break can be adjusted in three ways. First, adjusting the speed or diameter of the rotor, increasing the speed of the rotor, or increasing the diameter of the rotor at the same speed can increase the pulverization time, thereby adjusting the particle size of the product, increasing the yield, and increasing the pulverization efficiency of the material. Second, the particle size of the product is changed by adjusting the dispenser. 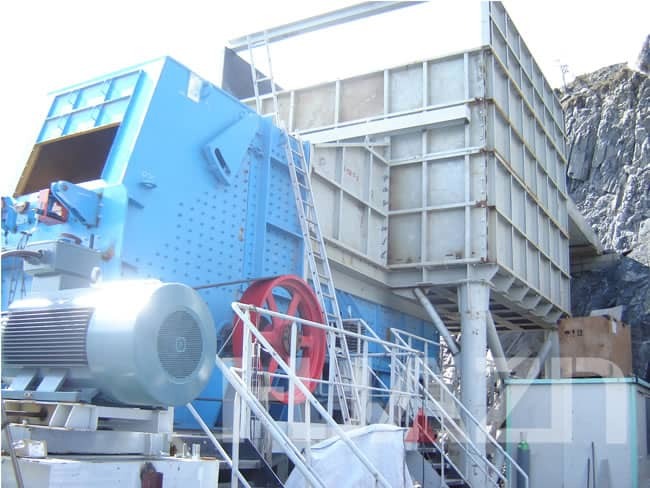 Adjusting the distributor and reducing the opening of the distributor can increase the overflow supply flow of the material, limit the collision movement of the material in the crushing chamber, shorten the residence time of the material particles in the crushing chamber, and improve the production capacity of the crusher. Third, adjust the gap of the grinding chamber to change the particle size of the finished product. The gap adjustment of the grinding chamber is mainly carried out by mechanical or hydraulic type, and the hydraulic type can quickly and conveniently operate the button or the control system to complete the gap adjustment. On the one hand, the impact crusher can handle hard materials with a compressive strength not exceeding 350MPa. On the other hand, counter-breaking can handle materials with higher water content. Only six hammers are installed on the rotor of the impact crusher. The special tools provided by our company can be used to replace the hammers. It takes only one shift to replace one set of hammers. The replacement of the grinding rods only takes tens of minutes. Therefore, the time for inspection and replacement can be greatly reduced. Next Article: How to adjust Plate Feeder?